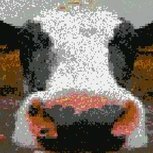 Grazing bullets activates lock-on lasers and the score multiplier for each kill is determined by the state of your "graze rate chain". 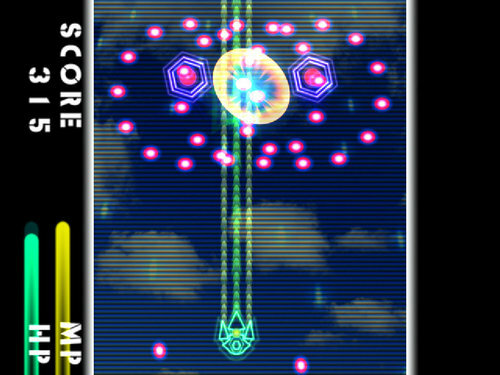 The maximum multiplier available is increased by collecting stars from destroyed enemies to fill the "Max x" gauge. Two standard ships and two unlockable secret ships. Access Pacifist mode (no main shot) by holding UP whilst selecting ship with bomb button. Access Trial mode (ship fully powered up and slower enemy bullets) by holding DOWN whilst selecting ship with bomb button. As well as the "Normal" course there's also a "Special" course but stormcaliberology is still in it's infancy so it's unclear how to achieve it as yet lol. Any problems with fullscreen graphics can be remedied by setting compatibility to Windows 95, 256-colors, 640x480. Game loops after 3 stages. Beating it again takes you to the TLB (EX Boss). One day, a mysterious jewel falls from the sky and give miraculous powers to some people. The player character for whatever reason, launch off into the sky to unravel its mysteries. 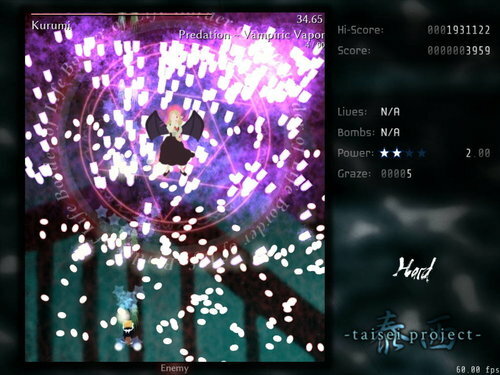 Touhou Suishouguu (English: Eastern Crystal Palace) is a fan-made Touhou shooting game features three playable characters to choose from; Reimu, Marisa and Sanae. All characters possess a basic primary shot and can be distinguished from its speed. Similar to Embodiment of Scarlet Devil the bombs show different behavior and damage depending on the character and type chosen. The game contains fan-made characters made by NTR, Sasha Sashiromiya as the final boss. 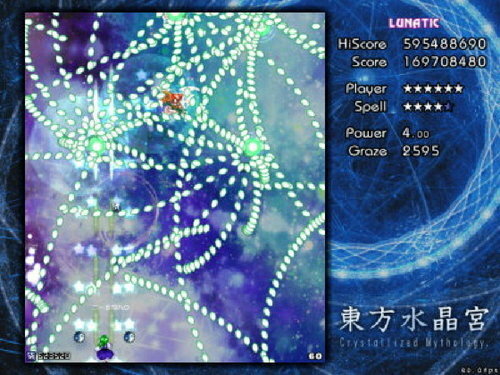 Touhou Suishouguu consists of three stages with additional extra stage. 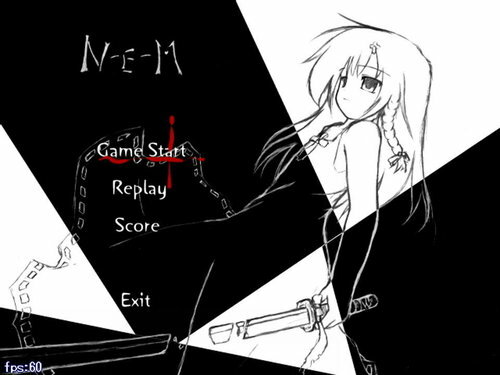 Nomltest FS is a doujin STG that marries old-school aliens with modern bullet-hell gameplay. 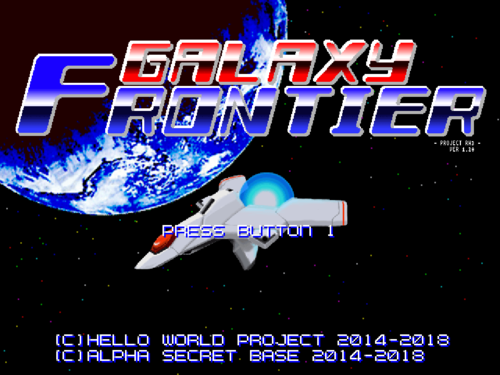 Shooting "GALAXY FRONTIER" set in the universe. A dense time of less than 15 minutes to you. I developed it on Windows 7 but I think it will work on XP. It is made with "Cygwin + MingW" environment + "SDL". 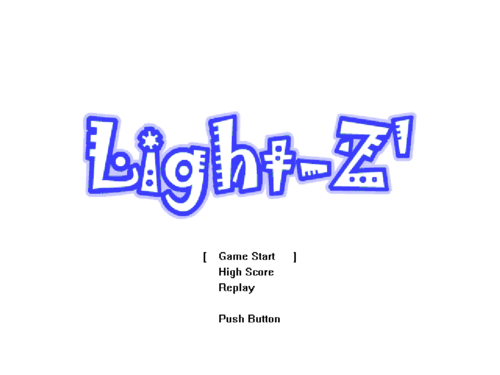 Simple vertical shooting game similar to Xevious. Suddenly, the mysterious enemy that appeared from outer space. There is nothing to be a sudden attack and it is driven to destruction. In order to defeat the battlefield, you must approach instantaneously and destroy it at once with high firepower. Avoid enemy attacks with warps, move your aircraft, wield swords and defeat enemies. New sense Warp sword shooting. 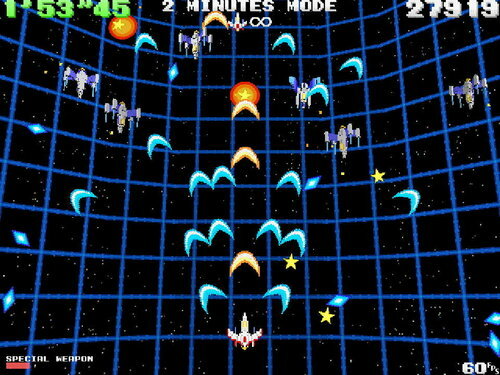 Armalyte is very nice shoot 'em up video game developed by Cyberdyne Systems much in the style of Gradius with similar weapons upgrade features and large end-of-level Bosses. Armalyte was released for the Commodore 64 by Thalamus Ltd. There also was an Armalyte game out on the Amiga and the Atari ST but that was done by another company called Arc Development. 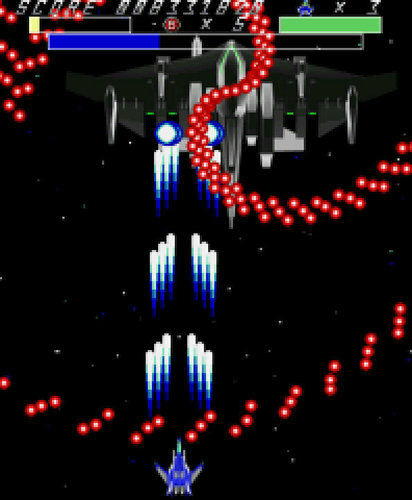 Armalyte is actuallt the sequel to an earlier side scrolling shmup called 'Delta' but this first game was developed by a different team. So it's actually quite funny when you think about all these related games being developed by different teams and different developers even. Is it a good game, heck yeah! Gold Medal in issue 46 of Zzap!64 magazine, with an overall rating of 97%. This PC version done by http://www.psytronik.net is a masterpeace as it really captures the feel and gameplay of the C64 original yet with enhanced graphics and a great soundtrack. Kudos to the creator(s) at Psytronik. 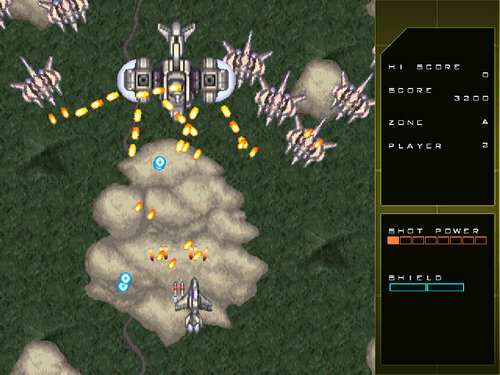 I would give this shmup an overall rating of 97% as well as it is still very playable and has 'upgraded' to PC quite well. This is an actual game made to recreate the feel of the fictitious game from the movie The Last Starfighter. Greetings Starfighter, you have been recruited by the Star League to defend the frontier against Xur and the Ko-Dan Armada. Good Luck!!! 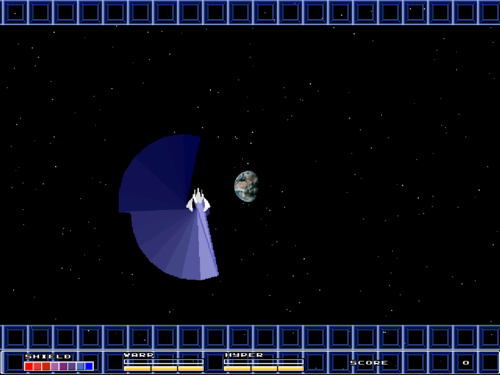 The Starfighter program is an attempt to recreate the game from "The Last Starfighter" film. This is purely a fan-based effort and has no commercial ties whatsoever. It is designed to ultimately run in a prop cabinet but control allowances have been made for easy computer play and adaptation to MAME cabs. 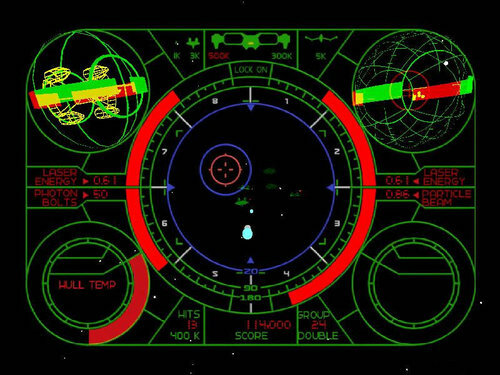 Ultimately, I hope we will supply you the information and software necessary to create your own Starfighter arcade cabinet. 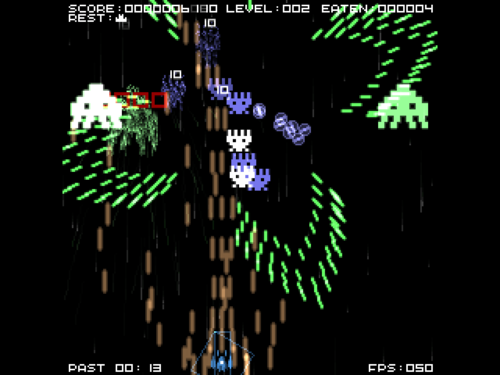 It is a shooting game where the enemy 's attack becomes stronger and steadier. As the enemy's attack gets stronger, the enemy's score also increases. Let's do our best not to get stuck and aim for high score. If your life is 0, your game is over. Degrees are displayed according to the score. Engrish description courtesy of Google Translate. Taisei (lit. Occident) is a free and open-source fangame of the Tōhō series, written in C using SDL2 and OpenGL. 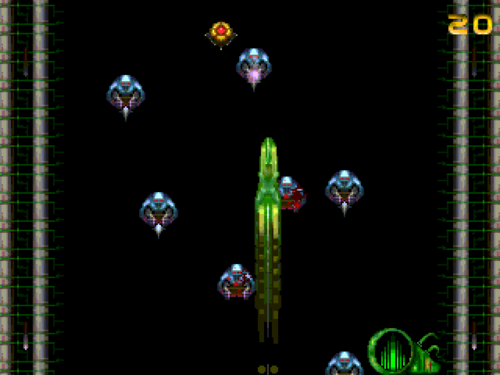 Basically, it is a shoot ’em up game with lots of bullets (the genre is literally called bullet hell). 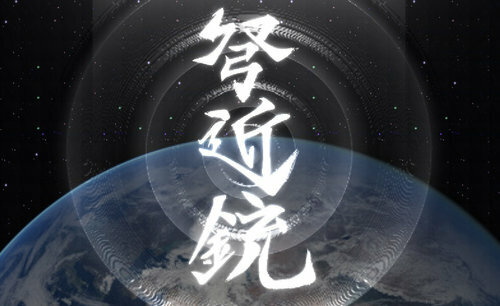 It doesn’t aim to rebuild a particular installment of the Tōhō games, but is rather an original game set in the world of Tōhō. Enjoy dodging through 6 stages full of new bullet patterns on four difficulty levels! If you have never played Tōhō before, you can have a look at our manual for an explanation of the controls and game. The game is mostly done and very playable, so feel free to give it a try! 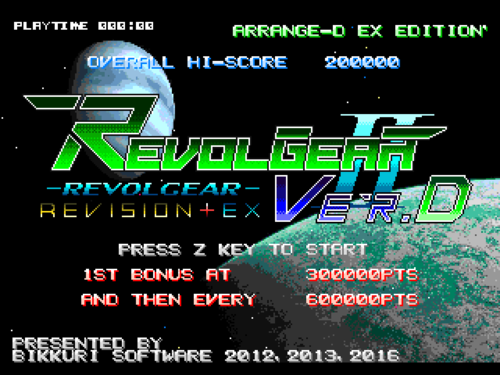 It is an arrangement version by Mr. XYRS based on surprised software work "REVOLGEAR II ver1.00 (old version)". It is much different from the original version. Please choose your own machine with different performance and capture the stage of all eight sides. You can power up your aircraft by taking items that the enemy drops. Stylish stage and various hidden specifications are enriched. ShootingGameBuilder made. · Dokingan · A.D.2305, the biggest problem on Earth Federation is extreme population explosion. It's no time and money to build space colonies. Thus, solution is only finding colony planets. Huge numbers of research vessels departed from Earth. Six months later, certain country's reaseach vessels have already found two colony planets. And arrived final research objective, the planet "XANADU". But they were attacked by unidentified civilization and evacuated immediately. After returning Earth, all information of Earth was leaked from reaseach vessels by XANADU civilization's hacking. Further more, huge XANADU civilization's force suddenly appeared nearby planet XANADU. Government was afraid of their invasion and decided to conquer the planet "XANADU" with military powerforce. And mankind began the invasion. 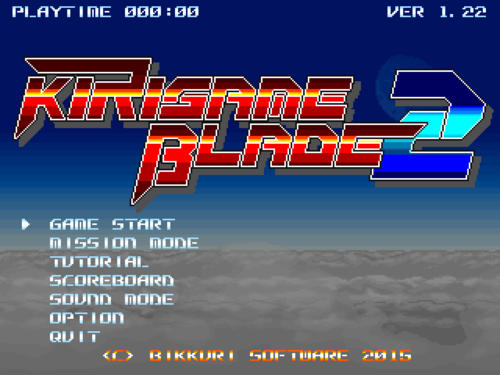 KIRISAME BLADE 2 (Kurisame 2) 【Caution! 】 Gamepad Ultra recommend Slash all of them !! Use a pair of "blades" equipped on your aircraft and a "hyper" system to strengthen yourself for a certain period of time and destroy enemy hordes! 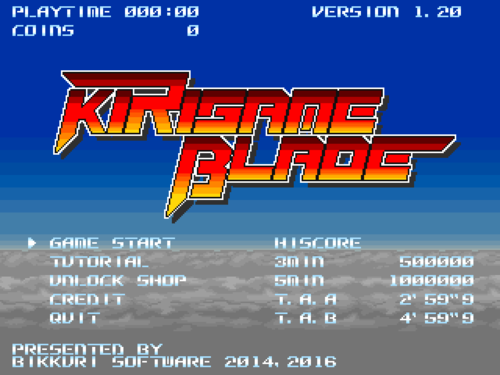 The game mode has three basic modes and mission mode. Let's fight with the mode you like. COMBO ATTACK Mode that kills enemies in succession and aims for high score by connecting combos. Make a combo with a new element combo boost! SPEED ATTACK Simple mode in which the time at stage clearance is the score as it is. Let's quickly defeat the medium size aircraft and aim for QUICK DOWN BONUS. ARCADE MODE An arcade-like mode that chooses the order of the squad who sorts at the start of the game and clears all four stages in order. 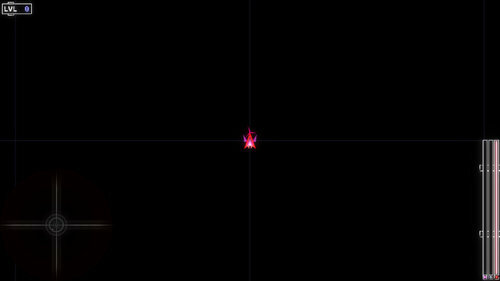 A bonus stage that can aim for a high score also occurs when clearing the stage. Is there something good if you clear it to the end? MISSION MODE It is a mode that freely chooses a short stage of all 24 + 1 faces to capture. 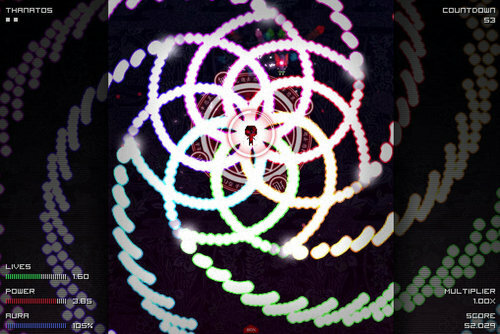 As you clear, hidden elements will be lifted. 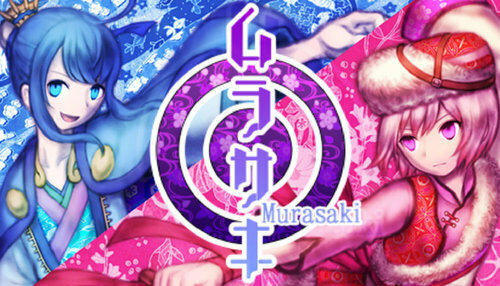 Murasaki Tsurugi is an indie puzzle explosion game. Use explosions to clear the screen of pesky obstacles filling it up. The only controls you need are the directional buttons and two other buttons (C and X)! OpenTyrian is an open-source port of the DOS game Tyrian. 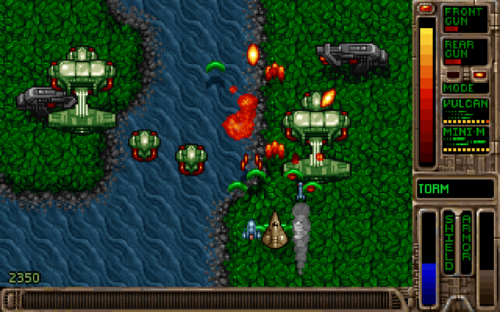 Tyrian is an arcade-style vertical scrolling shooter. The story is set in 20,031 where you play as Trent Hawkins, a skilled fighter-pilot employed to fight MicroSol and save the galaxy. Tyrian features a story mode, one- and two-player arcade modes, and networked multiplayer. ** Requires the data files from the original DOS game which was released to public here. Shooting Game Builder (Japanese). Use matching patch in this category to convert to english. Vibrant is a high speed arena shooter that delivers fast paced action and fresh gameplay. Master combat with inertia and free yourself from the Grid. Full version of Astro Ports Sonic Ironstorm. 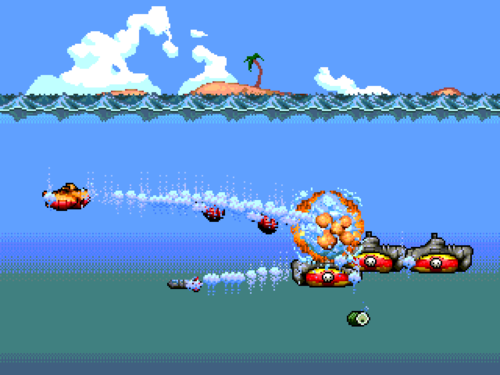 This is a vertical shooter based on a new revision of their Demolition Gunner engine.